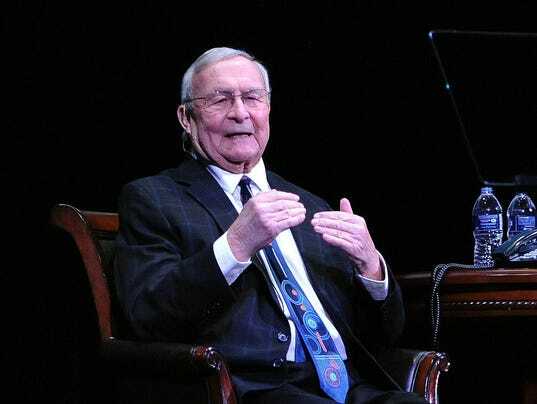 Last Wednesday Feb. 7, the report went out in the Detroit News (among others) that Oakland County's Executive, L. Brooks Patterson, had publicly stated he was opposed to the Southeast Michigan Regional Transit Administration (RTA). 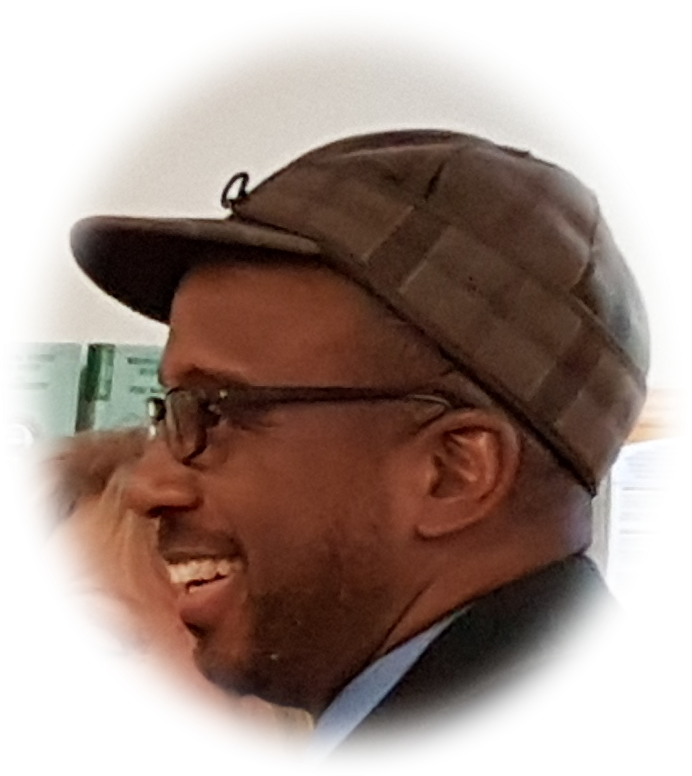 “I want you to know that as long as I’m county executive, I will respect the wishes of the voters of the select nine Oakland County opt-out communities,” he said, referring to municipalities whose leadership had refused to allow entry into the Suburban Mobility Association for Rapid Transit (SMART). He went on to say he would not allow them to be drawn against their will into the RTA. The majority of Oakland County voters approved the RTA millage, so Patterson's move is to defend the minority against the will of the majority. Such is Patterson's idea of democracy. Actually, I am glad Brooks has finally removed the mask of "transit neutrality" he donned for the last five years. We knew he was against regional transit, but now he has acknowledged it. Now, we can move on without him. We know he had a large hand in crafting the legislation that enabled the RTA, but he was obliged to compromise with leaders of the rest of the region, so the result was not 100% to his liking. Apparently, "compromise" and "will of the majority" are not in his vocabulary. Four-county regional transit is necessary. It IS possible...but not now. Patterson, together with Macomb County Executive Mark Hackel, have been doing everything possible to slow down the process, limit the free flow of resources, tailor the RTA Board rules so as to make action as nearly impossible as they can, and tie down the RTA with unrealistic accounting requirements. The RTA legislation requires 85% of each county's RTA tax revenue be spent on service within that county. Rules demanded by Oakland County's Board representatives were intended to make sure that not as much as one penny more than 15% of Oakland's RTA tax revenue is spent beyond their borders at any time. It's clear that the closer we get to true regional transportation, the more obstacles they will put in the RTA's path. Patterson's excuse about opt-out communities has some grounding in past policy, but if it's the real reason for shooting down the RTA, he has had six years to say so. At Thursday's Transportation Bonanza in Lansing (Michigan Association of Planning) I happened to speak to a planner from Livonia, one of the largest opt-out communities (though in Wayne County). Within the constraints of loyalty to his employer, he indicated there is growing disappointment with opt-out strategy there. Likewise, a young planner from the other opt-out county was shame-faced at being revealed as an employee of that county. The suggestion has been made for some years that Wayne and Washtenaw counties should together form a separate alliance to improve transit between their communities. I believe the Wayne-Washtenaw option is the best we have now. 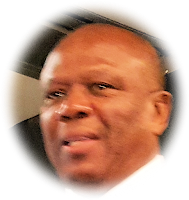 At TRU's State of the Region's Transit on February 5, we heard an impassioned plea from Wayne County Executive Warren Evans for regional transit NOW. Four-county transit if at all possible...but Brooks has effectively put a stop to that. In one-on-one discussion with Al Haidous, Wayne County Commissioner and Chair of the SMART Board of Directors, I heard another Wayne County leader express a great sense of urgency about bringing regional public transportation to southeast Michigan. 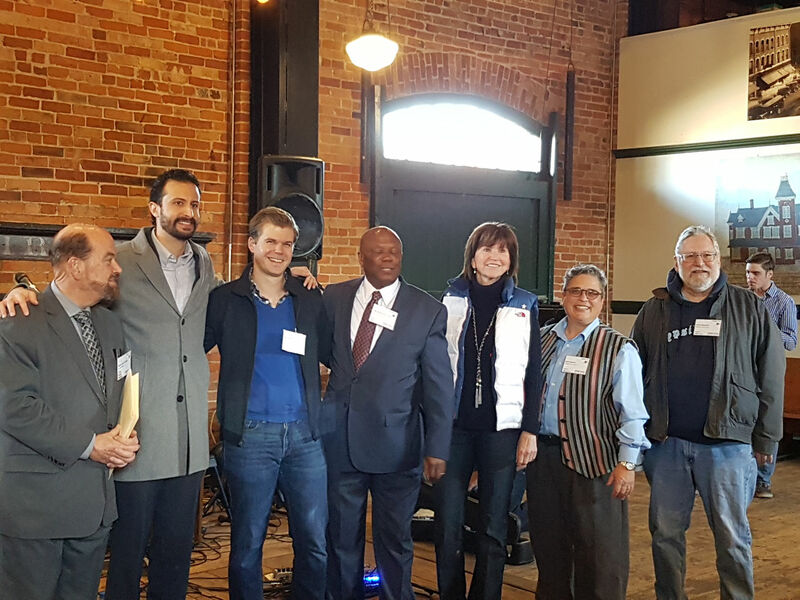 Most Washtenaw County leaders are also keen, especially for a strong rail connection with Wayne. As in the other three counties, there is opposition to the RTA from the rural townships in Washtenaw. 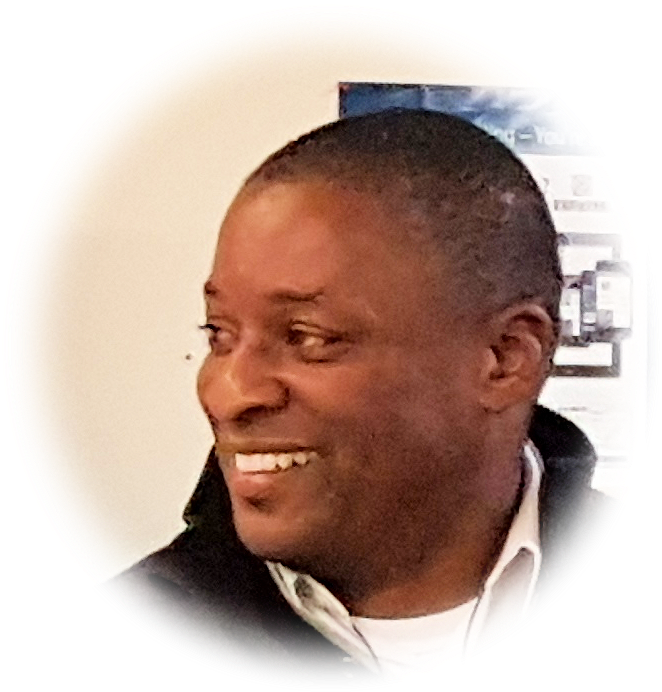 From their leaders, I have heard the sentiment that they are already taxed for services that go mainly to urban regions, and they don't want any more taxes without services for their region. Though there are enough votes in urban areas to overcome that opposition, I don't think it would be a smart plan. I believe any plan - whether in two counties or all four - needs to meaningfully serve low-density areas, or trim the transit district to leave out the edges. Yes, low-density areas are more expensive to serve, but I believe (subject to correction by contradictory survey results) that as a whole, the region would be willing to pay more to make that happen, at least in Wayne and Washtenaw. Daniel Burnham's words over a hundred years ago are still true today: "Make no little plans; they have no magic to stir men's blood and probably themselves will not be realized." The RTA plan was highly constrained (by guess who) and had little or no magic to stir anyone's imagination. It came close, but perhaps we should have expected that it would not not be realized. Next time, let's strive for that element of magic! In every US city that has experienced transit success, the first steps met with opposition. Once service began (typically on rails) the communities started clamoring for more. Voters stepped up and taxed themselves. So let's get Wayne-Washtenaw started, and move up from two-county success to four-county success. 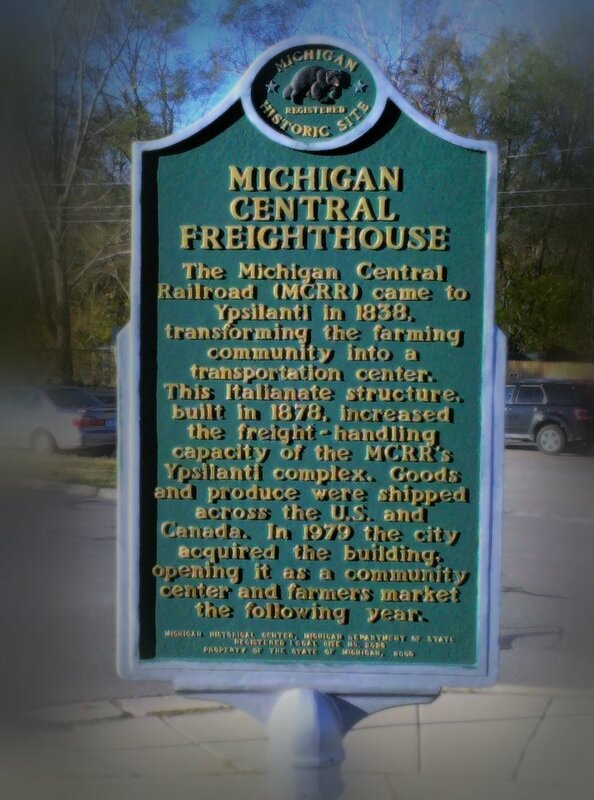 In the mid-nineteenth century, Ypsilanti’s Michigan Central Railroad station was busier than Ann Arbor’s. 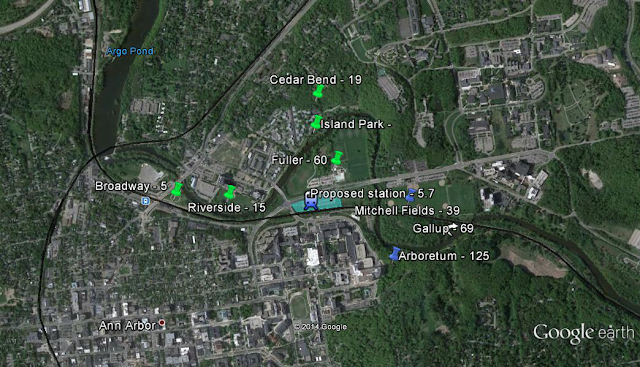 Now, Ann Arbor’s is the busiest in the state, and Ypsi has no station at all. 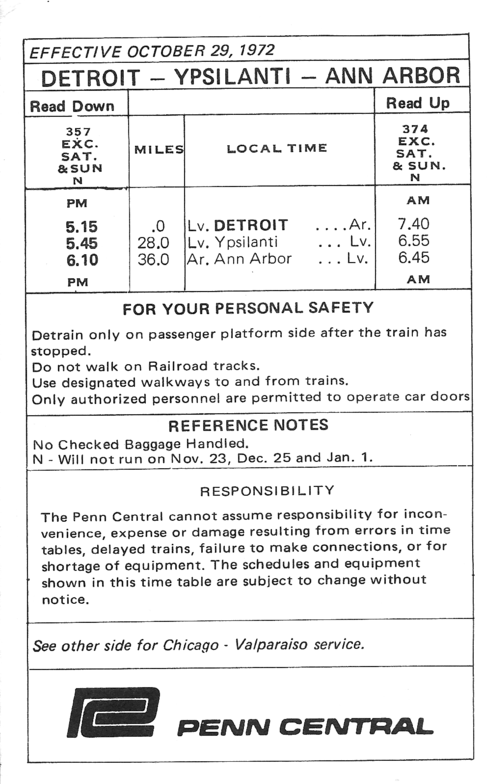 Since January 13, 1984, the last run of the Michigan Executive from Jackson to Detroit, no train has called at Ypsilanti for passengers. 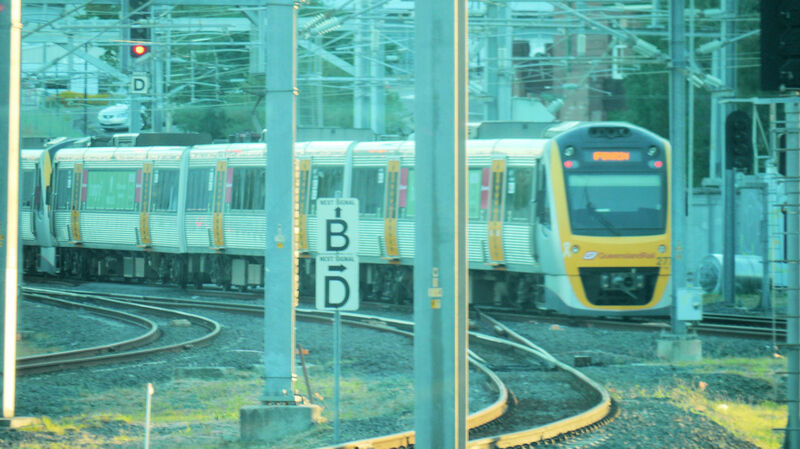 In fact, there is no longer any facility on which passengers can board or detrain. 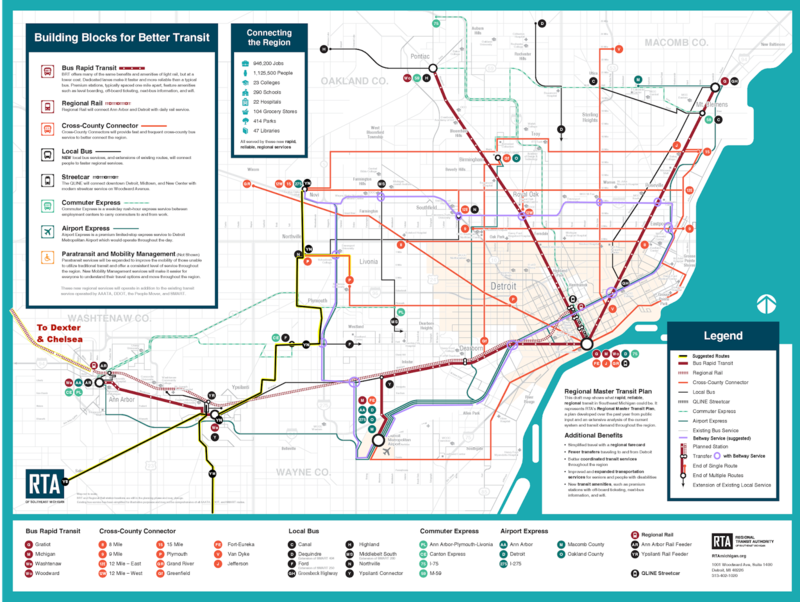 The lack of commuter rail service between Washtenaw County and the Detroit area began to be missed in the early 2000s due to steadily growing automobile congestion. SEMCOG, the Southeast Michigan Council of Governments, commissioned a study of the corridor by the world-class transportation firm of Parsons-Brinckerhoff (now part of WSP Global). 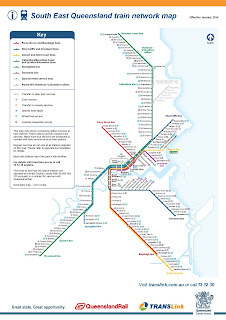 Their study, issued in 2006, compared commuter rail with light rail and bus rapid transit on several possible routes. The study’s conclusion was that commuter rail, with a stop in Ypsilanti, offered the most reasonable and economical option. Though the project advanced to the Federal level for funding, it was not approved due to lack of data comparing the new service with existing public commuter transportation; there is none to compare. 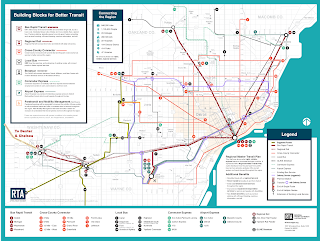 Ten years later, the Southeast Michigan Regional Transit Authority (RTA) included a similar proposal in its Regional Transit Master Plan. 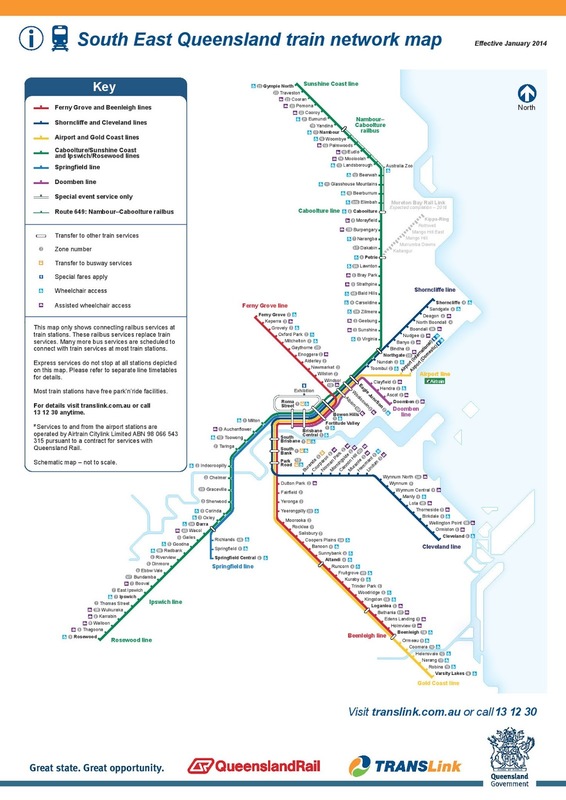 This proposal included more than just “commuter service” the plan was for eight trains each way during the week, fewer on weekends. Unfortunately, when the proposal went to the voters for funding in November, 2016, it lost by less than 1 percent of the vote in the four-county Southeast Michigan RTA district. 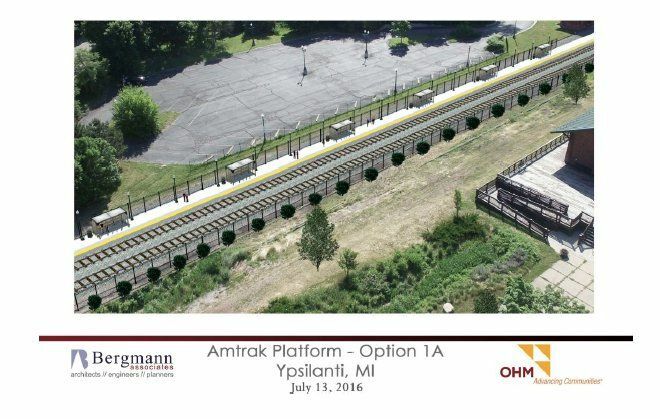 But Ypsilanti had already been discussing the need for a station platform. 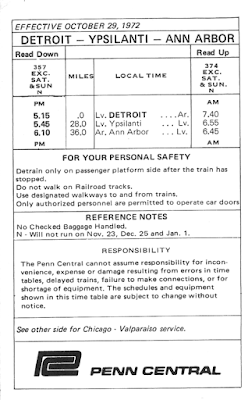 Amtrak officials agreed that some or all of the Wolverine Service trains would stop at Ypsi, in large part because of the presence of Eastern Michigan University and its more than 21,000 students. In March of 2016, state and local elected officials formally kicked off a two million dollar project to design, acquire permits, and construct a platform with transit-style shelters. Funds were raised from non-profits as well as the Ypsilanti City Council. 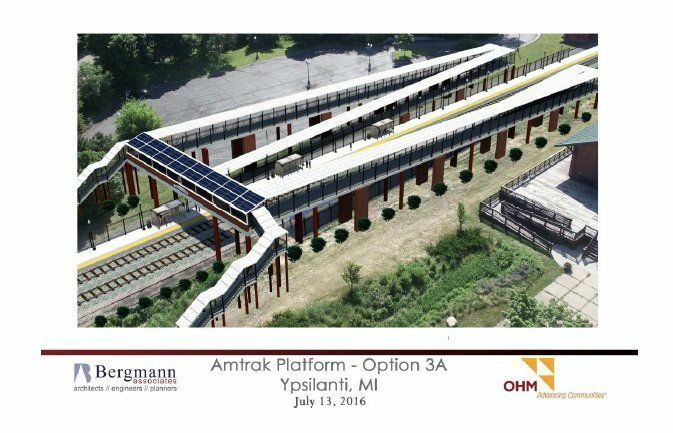 In July of 2016, the two engineering firms contracted for the job, Bergman and OHM, had presented several possible station models, from a single platform with six shelters, to a two-platform layout with overhead crossover, elevators, and accessible ramps. But City Council had other problems to deal with, including massive debt for a contaminated property in the City. By October, Council put the project on hold, and it has remained on hold ever since. Many people ask, “Why not use the Freight House?” The Ypsilanti Freight House is a classic 19th century building that has been repaired and renovated by a dedicated group of Ypsi citizens, the Friends of the Ypsilanti Freight House. It’s a grand old building; noble, but nothing fancy. However, it is a Michigan Historic Building, and no alterations are permitted. 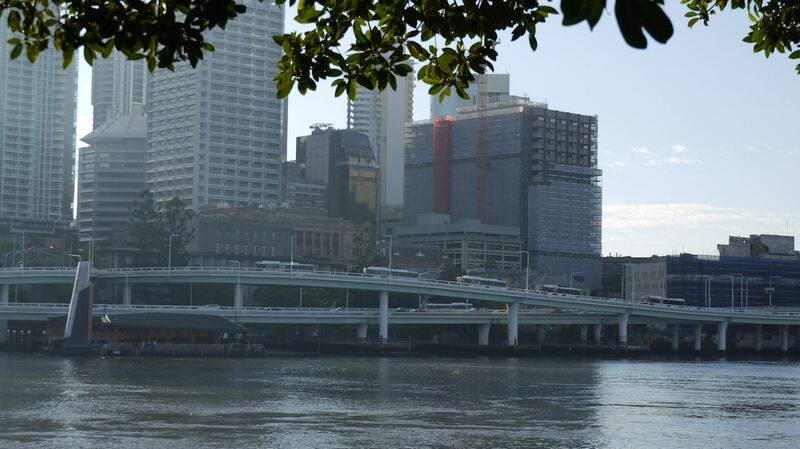 This has ruled out using it for passengers, because it would require extending the existing platforms and substantially changing the shape and appearance of the building. Ypsilanti Freight House historic building plaque. Fortunately, there are many citizens in Ypsi who are well aware of the potential of a station to revive the economic prospects of Ypsilanti. The project has support from representatives in the Michigan House; initially, Rep. David Rutledge, of Michigan’s 54th State House district, and now his successor, Rep. Ronnie Peterson. Debbie Dingell, the U.S. Congressional representative for the 12th District of Michigan, is also a staunch supporter of the project. However, all these representatives are in the minority party, which constrains their ability to provide the needed financial support. Nothing daunted, Rep. Peterson has undertaken to raise support in other ways. 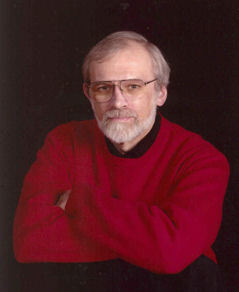 He has held discussions with Michigan Department of Transportation (MDOT) and Amtrak. He has requested staff support from the Ann Arbor Area Transportation Authority (AAATA). And he has organized a spectacular event to raise awareness and get the process moving again. The event was held Friday, December 1, 2017. With the assistance of Derrick James, Director, Government Affairs at Amtrak, Rep. Peterson arranged for Amtrak 350 to stop in Ypsilanti to pick up about 35 community leaders. Since the platform is frozen in the planning stage, the train had to pick up people in the grade-crossing at Cross and River Streets. So the first stop in almost 34 years to pick up passengers in Ypsilanti occurred in at the crossroads of Depot Town, about 1:45 PM. Many of the group had never traveled by train, and were amazed at the comfort in Coachclass, at the quiet running, the smooth ride, and the apparent speed of the train. Most were surprised how quickly and easily the train brought them to Detroit, after a brief stop in Dearborn’s beautiful new Dingell Transportation Center. John O’Reilly, Mayor of Dearborn, was among the enthusiastic participants. In Detroit, Rep. Peterson had arranged for Golden Limousine to carry the group in two comfortable buses, thanks to Sean Duval, President, who is active in the Ann Arbor-Ypsilanti Chamber of Commerce and a strong supporter of the Ypsi station project. 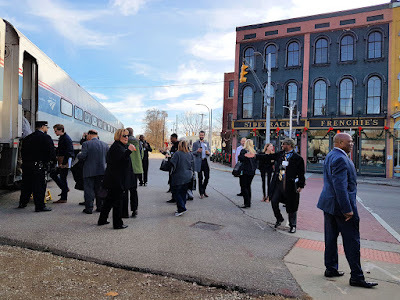 The group went first down Woodward Avenue to enjoy the splendid art deco Guardian Building (also home of Transportation Riders United, a Wake Up Washtenaw partner). On the way, an enthusiastic tour guide gave Washtenaw County folks every reason to understand why Detroit is definitely worth coming to. As if that was not enough, the group was treated to a beautiful tour of the Detroit Institute of Arts, including explanations of the unforgettable Diego Rivera Detroit Industry murals, and a special exhibit of Claude Monet and Frederick Church paintings. Heading home, a lively duet was playing for the group and fellow passengers in the Detroit Amtrak station. Train 355 arrived pretty much on time, and again group members were impressed by the rapid comfort of the trip to Ypsilanti. John "Jack" O'Riley, Mayor of Dearborn; Yousef Rabhi, 53rd District, Michigan House; Adam Zemke, 52nd District, Michigan House; Ronnie Peterson, 54th District, Michigan House; Brenda Stumbo, Supervisor, Charter Township of Ypsilanti; Beth Bashert, Ward 2, Ypsilanti City Council; Pete Murdock, Ward 3, Ypsilanti City Council. Amtrak Wolverine Service 355 stopping in Cross Street to let off tour group. Enthusiastic onlookers, hugs. Impressive as the event was, there is clearly a great deal of work to be done. The first step is for Ypsilanti City Council to approve continuation of the station project. This should be somewhat easier, now that city voters have approved a debt retirement millage, freeing the city from the “albatross hanging around its neck” or at least giving it some breathing room to invest in its future. Many details need to be ironed out, but the enthusiasm generated by this event seems very likely to translate into action. The suburban Detroit transit authority, SMART, is inaugurating three Express routes, with stops every 1-2 miles apart. Starting January 1, 2018, they are planned to radiate from downtown Detroit on Gratiot, Woodward, and Michigan Avenues. If you're at all familiar with the Southeast Michigan RTA's plans, this will sound eerily reminiscent of both the RefleX service running now on Woodward and Gratiot, and the mandate handed down to the RTA from the State Legislature, to establish "rolling rapid transit" on those same three corridors. Currently, SMART operates RefleX service on Gratiot out to Mount Clemens, while DDOT operates RefleX on Woodward as far as Somerset Mall. The RTA established these two as a foretaste of "rolling rapid transit" - which was the Legislature's way of saying Bus Rapid Transit (BRT) without uttering that distateful word, BUS. Unfortunately, the RTA found only enough funds to run RefleX every 45-50 minutes, but I'm told they're fairly well used despite their infrequent appearance. SMART's service will run nuch more frequently. On Woodward and Gratiot, it will operate every 10 minutes during peak periods, every 20 off-peak, from about 5 AM to 1 AM. Excellent frequency and span of service! The Gratiot route will go to Mount Clemens, then split with alternate buses serving two park-and-ride lots; the Woodward route will split at Big Beaver, every other bus going either to Troy Civic Center or Pontiac Phoenix Center. The Michigan Avenue service will go to Detroit Metro Airport, calling at both Macnamara and North Terminals. Span of service will be the same excellent 5-1 as on Gratiot and Woodward, but unfortunately it will only operate at 30 minute intervals during peak periods, and hourly off-peak. Schedules for these new routes are not public, probably because they haven't been finalized yet. I'm told to expect the runs to be 10-20% faster than local buses, though that may be a conservative estimate. We'll see. This is really significant. For the first time, we can take a bus from DTW to downtown Detroit, going fairly rapidly and directly. Obviously this will be much slower than the airport service to Ann Arbor, which does not stop for passengers at all between the airport and downtown Ann Arbor. However, the combination of these services is awesome, especially considering the fare policy: same as local, $2.00, and transfers are valid to other SMART and DDOT buses. That means that for $2.00 you can get from the airport all the way to Mount Clemens, Pontiac, or Troy. It may be slower than an airport limo, but the cost really makes it worthwhile. My hat is off to the folks at SMART! Every five years, the Southeast Michigan Council of Governments (SEMCOG) does a thirty-year forecast of population and economic growth. The draft of the 2045 forecast is on the street now. It's just a "crystal ball" but it's probably the best guess we'll get. I like to think of the SEMCOG forecast as "what will happen if we don't do anything different". I sure hope we "wake up" and change how we do stuff in Southeast Michigan. Overall the region is pridicted to grow slowly in both population and economy...if we keep on with "business as usual". In population growth, Washtenaw is the fastest-growing in the seven-county SEMCOG region. Within Washtenaw, the City of Ann Arbor is expected to grow the most. We'll see what effect Ann Arbor's divided opinions about growth have, though. If either Planning Commission or Council in Ann Arbor don't like "growing up" or can't think of anyplace they'd like to put the 19 thousand forecast new residents, they'll go elsewhere. Ypsi Township is expected to hold on to second place in population. But the spotlight for fastest growing unit in the county shines on little Saline Township, more than doubling in population, a growth rate of 127%, followed by Manchester, with 72% growth. Both these units remain well under 5,000, despite their belt-stretching rate of growth. Here's a summary of Washtenaw County's guestimate.This table shows the better-known units of the county, plus those forecast to grow by more than 5,000 people. In each category, first place is colored red, second place blue. Job growth has been forecast by Fulton and Grimes, the duo of economists at U of M who are known nation-wide for their astute forecasts. With education and healthcare the fastest-growing sectors of the economy, it's hardly surprising that Ann Arbor has the greatest number of new jobs. Pittsfield Township has the second-largest growth, though Ypsi Township holds on to second place in total job growth. Once again little Manchester has a surprise for us: the fastest rate of employment growth: 63%. Unfortunately, that represents under 600 jobs. York earns second place in the rate of job growth, with 56.7% - but the number, under 2,000, is not overwhelming. Again, in each category first place is colored red, second place blue. SEMCOG offers a cool interactive map at http://maps.semcog.org/Forecast/. This is very relevant to the Ann Arbor station's location. The University of Michigan Medical Center, with approximately 20,000 employees and growing by 700 jobs per year, is the largest job center in the county. This is nearly double the number of jobs available in downtown Ann Arbor. 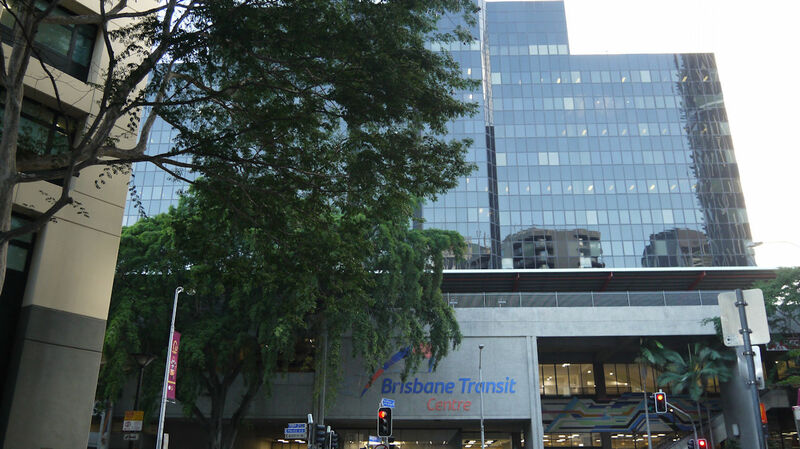 If this center is within a five-minute walk of the station, many people will benefit. On the other hand, if the station is located at Depot Street and Broadway, there is a very real possibility that the housing disparity will be worsened. Ann Arbor is a victim of its own success. Housing prices are rising steeply as traffic congestion worsens. The largest contributor to this problem is the University of Michigan, especially its Medical Center. Employees come from all points of the compass, but the largest number come from Ypsilanti and Ypsilanti Township. Together with those arriving from north and south on U.S. 23, they fill all east-west arteries leading to the Medical Center every morning, and again every afternoon. Every artery, with the exception of one: the state-owned east-west railroad. Meanwhile, communities on the eastern edge of Washtenaw County are experiencing fiscal distress. Those who work as support staff at the University Hospital and Central Campus can't afford to live in Ann Arbor, so many live in the Ypsilanti area. But their commute - whether by car or by bus - is growing longer and more arduous as congestion increases. No relief is in sight for these struggling communities or their residents, because roads cannot be expanded, and even bus rapid transit, which has been proposed by the Regional Transit Authority, cannot be given any dedicated lanes due to space and capacity constraints. The University of Michigan is actively seeking to take more land near the Medical Center for parking. Because of the growth that we've been able to enjoy at the medical center, bringing about additional jobs and employment opportunities, as well as expanded service that comes with that growth, obviously we have a demand from the university employees to be able to provide more parking to address their needs as well, [Jim Kosteva, quoted in The Ann Arbor News, October 10, 2017] said. Even with robust area and university bus systems, automobiles still flood the area, causing concern to residents, according to interviews in The Ann Arbor News, October 10, 2017. The University could have located a medical facility on the land in question. Instead, every new parking facility not only takes land off the City of Ann Arbor tax rolls, but also out of productive use, forcing the University to decentralize medical services to multiple sites. Sharing expert medical staff between dispersed facilities reduces the productivity of highly specialized staff whose time is extremely valuable. So City, County, University, and staff will immediately benefit if rail service is offered between the Medical Center and other points in the county. This is especially true between Ypsilanti and the Medical Center, because it would dramatically raise the value of housing in areas surrounding the Ypsilanti depot. This is true of both the City and the Township of Ypsilanti, since the depot is in the City, but only a few blocks from the Township. Using census data from 2013, I've analyzed commuter flows in the Detroit Metro area; the largest flow into Ann Arbor is from Ypsilanti Township (8,038), which together with the City of Ypsilanti (3,046) contributed 11,084 daily commuters in 2013. Rail service, especially if offered as a shuttle, would reduce commuting time from roughly 30 minutes during rush hour to just under 15 minutes. Compared to other options, such as building an elevated transit guideway over Washtenaw Avenue, a rail shuttle is remarkably inexpensive. 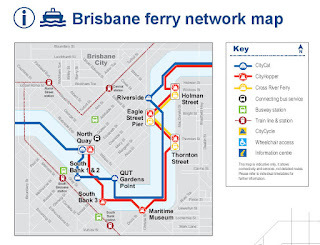 Wouldn't this work just as well if the station is at Depot Street? First because the Depot Street location is within a five-minute walk of well under 5,000 jobs. A station within five minutes walk of 20,000 existing jobs attracts many more riders than a station within 20 minutes walk of those jobs. 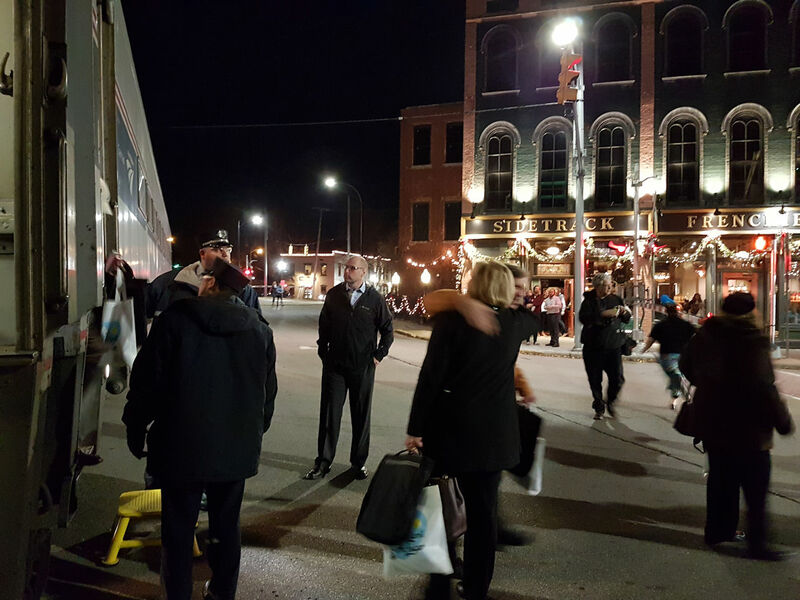 True, Depot Street is within 10-15 minutes walk of 11,000 jobs in downtown Ann Arbor, and 15-20 minutes of the University's Central Campus. On a beautiful spring or autumn day, it would be a pleasant way to get to work, but there's also summer and winter, rain, snow, and ice. Traffic and parking problems would be right back to haunt everyone during bad weather. Capacity to handle bad weather would be the determining factor for transportation capacity. 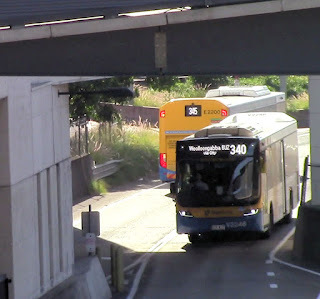 Of course, a fleet of buses could be run to take people from Depot Street to Medical and Central Campus, but it would be much quicker and less expensive to take people where most of them need to go in the first place. And buses would need to run from Depot Street to downtown as well, since it's uphill, and in bad weather most people will not want to walk there either. What about Transit Oriented Development Potential? Depot Street has greater potential for TOD than the Hospital site, and I'm all in favor of TOD. But as Clark Charnetsky points out, "Why not Development-Oriented Transit?" In other words, the development has already taken place at the Medical Center, so let's bring transportation to it. Does Ann Arbor really want more intensive development of the Depot/Broadway area? Will further development not raise land values and housing costs even more? It would seem to exacerbate the existing housing disparity rather than resolve it. 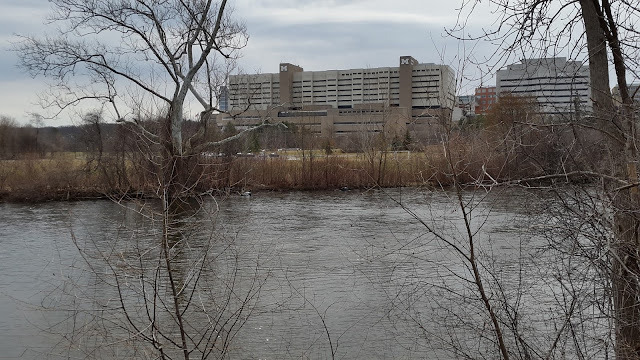 While those with the means to live in the City of Ann Arbor are concerned about their parks, those in surrounding communities are concerned about their livelihood. People and communities are being financially squeezed by the growing prosperity of Ann Arbor. As is so often the case, one city's prosperity depends on the labor of people who cannot afford to live in a prosperous community. I'd like to suggest that 1.8% of a prosperous community's parkland is a small sacrifice for the prosperity brought, in part, by the labor of less fortunate neighbors. 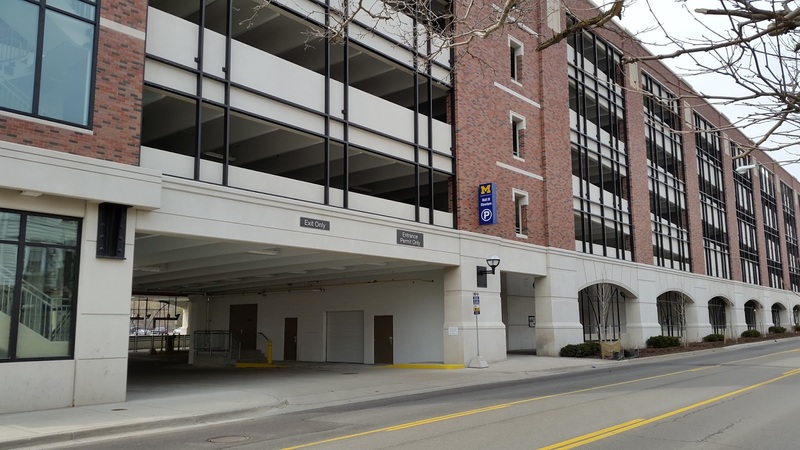 UM currently has more than 27,000 spaces in Ann Arbor spread out among 16 parking structures and more than 200 parking over approximately 253 acres of land. That number is ominously close to the 339 acres of park and recreational land within 3/4 mile of the proposed station site, and does not include any of the Ann Arbor DDA's many parking facilities. So let's find as many ways as possible to reduce the need for parking, and that certainly includes locating a rail station as close as possible to the University of Michigan Medical Center. Ann Arbor, City. Train Station Alternatives Analysis Phase II Report Now Available. Ann Arbor News, October 10, 2017. University of Michigan seeks input on parking garage planned near hospital. 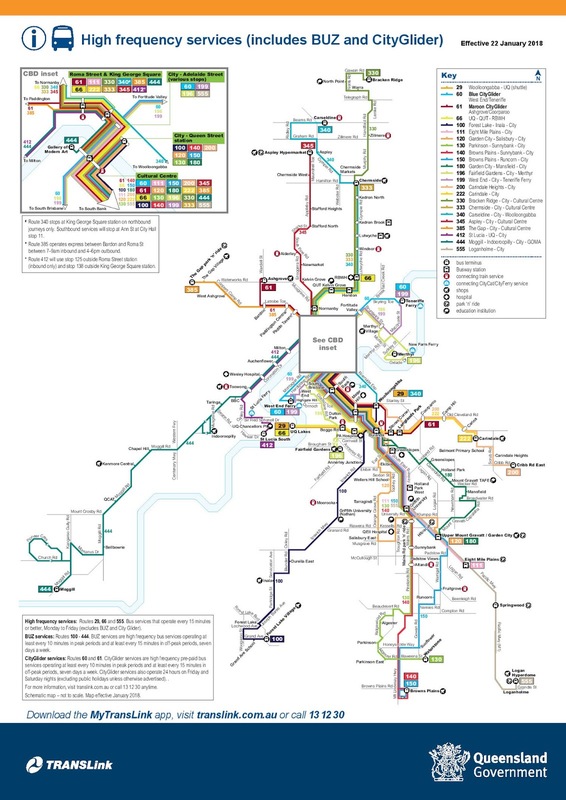 Krieg, L. Analysis of Commuter Data in the RTA District. Washtenaw County, Office of Economic and Community Development. Housing Affordability and Economic Equity. My friend Susan Pollay and I find ourselves on oposite sides of an important question: where should the new Ann Arbor railroad station be located? I used to favor the Depot Street site, or more precisely a site just a little west of Depot Street on North Main. A few years ago, I reluctantly admitted that wasn't practical, and acknowledged that Fuller Road by the U of M Medical Center made the most sense. Since then, I've put quite a bit of thought into the matter, and advocated publicly for the Medical Center site. It was good seeing you briefly last night at the Public Meeting on station location. We find ourselves (unusually!) on different sides of this issue, and I'd like to comment in response to some of the points you made in your written statement. You begin very clearly opposing the location: "I STRONGLY believe that the train station should remain on Depot Street. The City's choice is not sound for many reasons." You dive into the issues discussing the parking recommendation. But I have to take exception to this bald assertion: "Fuller Road is an unwalkable location..." Unwalkable? How do you figure that? 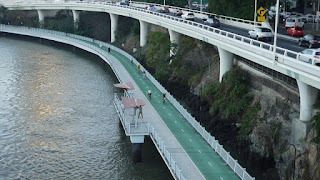 I've walked there many times, and I'm reasonably confident that hundreds of people walk and bike there every day. Perhaps you mean that it's too far to walk there? Well, that depends on where you expect people to walk to and from. If you're one of the 20,000 or so people who works at the medical complex, it's very walkable. Or perhaps you mean the traffic is so congested on Fuller that it's difficult to cross? With the current traffic signal at Fuller and Emergency Drive, crossing is safe and accomplished daily by hundreds of people - though the wait can be long. I'm a bit more concerned about the safety of pedestrians at the proposed roundabout, but without seeing the plans one can't be specific. In the next section, you claim that "we learned last year the Connector isn't going happen...". Wait a minute - that's not what I learned! My understanding is that the Connector is being re-evaluated by the University. 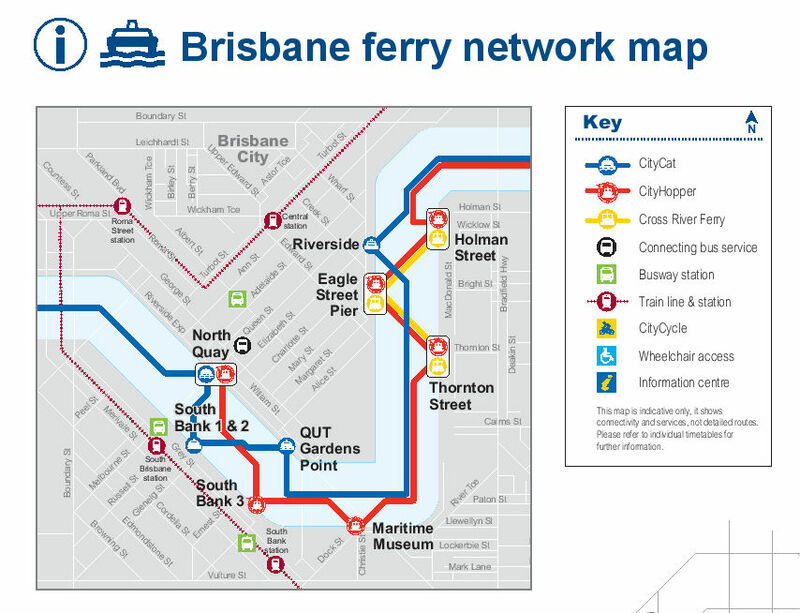 OK, the light rail plan is looking more ambitious than the City and University expected, but the option of doing nothing is looking just as bad as it did when the plan was first conceived. Something has to be done to better connect the northeast with main campus and downtown. We just don't know what it will look like, except that linking Depot Street with improved connectivity will be more expensive simply because of the geography. "The report authors must not realize that it's an easy 10 minute walk to/from the Kerrytown District and the Old Fourth Ward and 5 minutes from Lowertown." First, it's not such an easy walk to Kerrytown and especially Old Fourth Ward if you're pulling any amount of luggage. It's uphill. I know. I've done it quite a few times. Try it in winter, with snow cleared imperfectly. It's not for the faint of heart, let alone those with difficulty walking or outright disabilities. Lowertown is a much easier walk, but it's actually just as close to Fuller Road as to Depot Street. Kerrytown and Old Fourth Ward are popular, quaint neighborhoods, but compared with the number of people employed at the Medical Center and the number of people who visit it daily, they don't have anywhere close to the number of potential passengers. 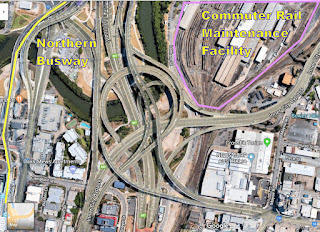 Lowertown is certainly a potential source of station users, but we don't know what will actually emerge there, and as I mentioned, Lowertown is practically equidistant from both sites. "Yet, there are virtually no humans living within the same radius of the proposed Fuller location." 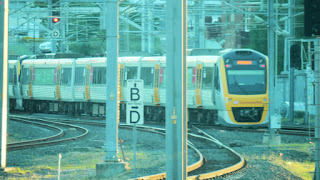 People living near a station may occasionally use the train. People working near a station or visiting near it are far more likely to use the train, especially when regional/commuter service begins. That medical complex is the 800-pound gorilla in Washtenaw County: nowhere else is there such a large number of jobs and visitors in such a compact area. "Only a very small percentage of UM hospital employees live convenient to the Amtrak rail corridor, so the likelihood of many using the train to commute is slim." Here again you speak with a certainty that that's difficult to support. You also speak as if the future is static, and will look like the present. But you know as well as I do that transportation options shape the development of communities. When Southeast Michigan finally wakes up and gets commuter rail going, the real estate landscape will change, just as it has in regions like Denver, Salt Lake City, and Portland. My own public comment at the meeting focused on housing disparity between eastern and central Washtenaw County. I want to expand on that elsewhere, but I will point out that several thousand University employees commute daily from eastern Washtenaw to the U of M Medical and Central campuses. 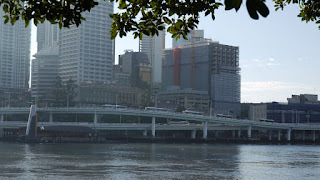 This creates a flow of cars and buses that the road system is already incapbable of handling effectively. Ten years ago, the SEMCOG study of the Detroit-Ann Arbor corridor predicted that the Ypsilanti-to-Ann Arbor segment would see the heaviest ridership on the corridor. Today's traffic congestion and bus ridership are demonstrating the validity of that prediction and the need to provide better alternatives. In short, while the Depot Street options provide potential, the Fuller Road site provides actual riders who seriously need alternatives. That's why I reluctantly had to change my own preference for the Depot Street/North Main location to Fuller Road. I think you'll see the need for locating at Fuller if you step back and look at the needs more holistically.